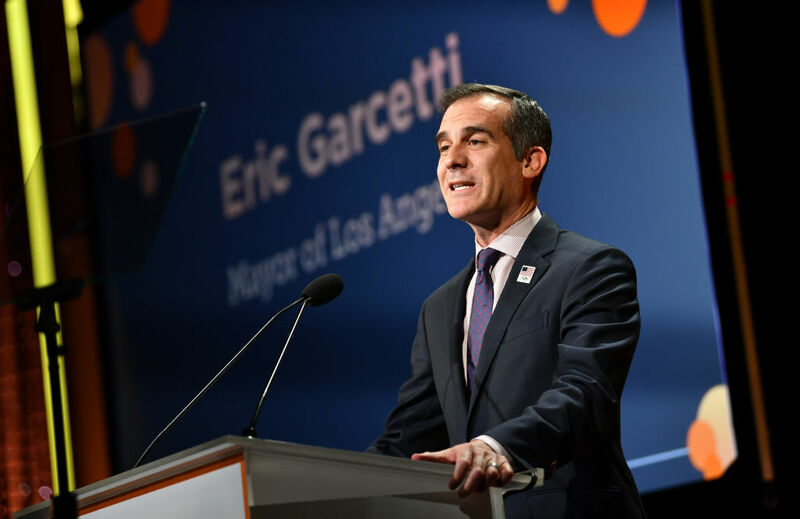 Here in Los Angeles, we might feel like we have a pretty good idea of what Mayor Eric Garcetti is all about, but as his national profile grows, we’re learning things along with the rest of the world. As part of a series, The Washington Post has been posing questions to possible presidential contenders about an array of subjects of national interest, and today’s edition focuses on Garcetti. He has plenty to say about issues of global trade, immigration, and even the market share of Apple, but one thing that caught our eye was his statement about how regulations, zoning policy in particular, can impact housing costs right here in L.A.
“In L.A., my administration is working through the first comprehensive overhaul of our zoning code since 1946, and the bureaucratic inertia and parochial politics that delayed us to this point have absolutely hurt people and their quality of life,” he says in the interview. Garcetti says we need to overhaul municipal rules for things like residential density and land use to keep up with how the city has changed in recent decades. Along with all that growth has come upward pressure on housing prices, he acknowledged. You can find the full interview online, along with the previous conversation with a Democratic party leader on the rise, Senator Elizabeth Warren. RELATED: Who Is The Real Eric Garcetti?